Croatia was heavily involved in the fighting over the break-up of the Federal Republic of Yugoslavia and the war in Bosnia. Originally Yugoslavia contained the six republics of Slovenia, Croatia, Bosnia Herzegovina, Serbia, Montenegro and Macedonia. 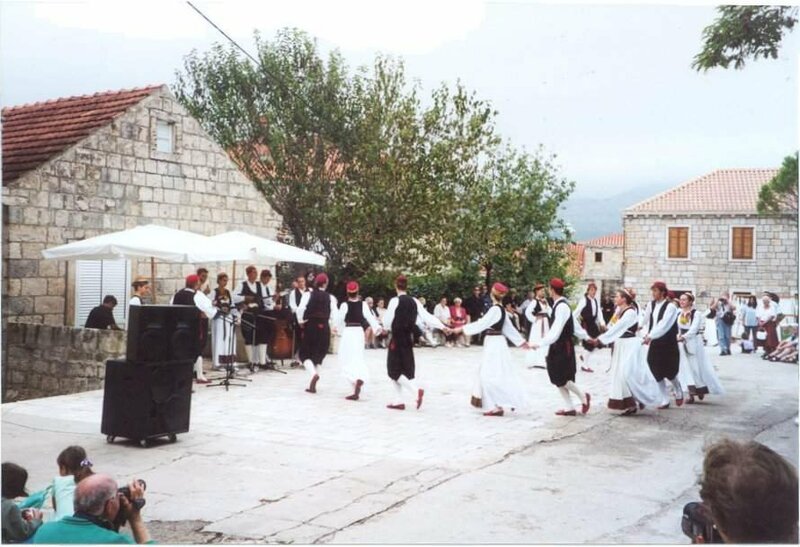 Croatia today contains the historic regions of Istra, Dalmatia and Slavonia - with Bosnia Herzegovina breaking through to the coast in one small portion to give it access to the sea. 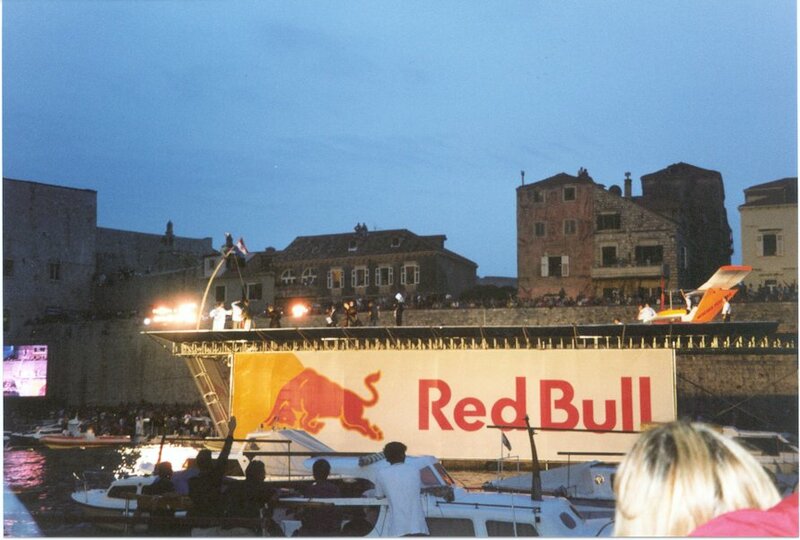 This leaves the fine old city of Dubrovnik in southerly isolation from the main part of Croatia. Neighbouring Montenegro now combines with Serbia to form the much reduced state of Yugoslavia. It is far too complicated - and out of place here - to try to get to the roots of the troubles in this part of the world. Suffice it to say that ethnic, cultural and religious associations are all part of the complex equation that led to Yugoslavia tearing itself apart. The fighting ceased in 1996, and the visitor to Croatia today may be forgiven for assuming it to be a nice, quiet country. Passionate feelings lie beneath the surface, however, and while crossing borders is OK for visitors, locals might think again before venturing forth into a land of former enemies. 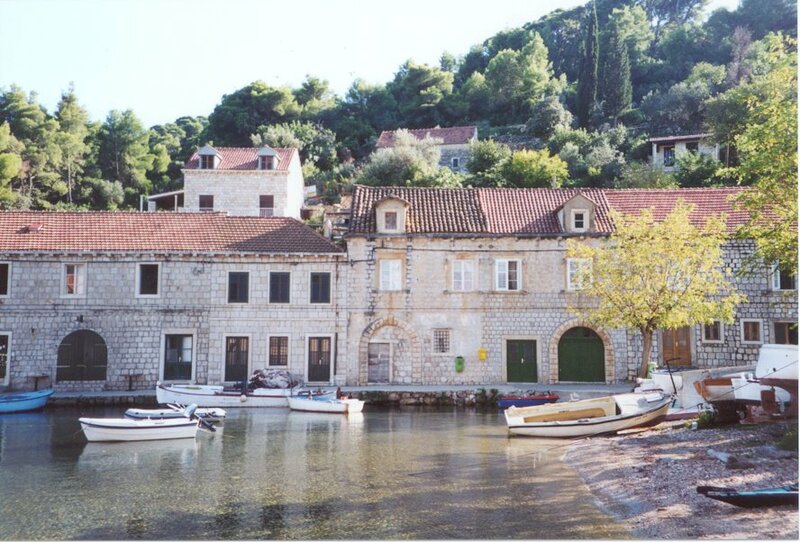 Apart from all this, climatically, Northern Croatia has a temperate continental climate, its Adriatic coast a Mediterranean climate, and history abounds. There are 1185 islands off the coast, of which 65 are inhabited. The coast is noted as a sun-drenched tourist destination (Dubrovnik has 2,484 days, which compares very well with Nice at 2,706). I arrived at the airport just after dusk, but the coach trip to the hotel was still quite entertaining, for the road - a very good one, I might add - teeters above the beautiful old walled city of Dubrovnik: a fine sight from above, by night. The view from my hotel bedroom window, on arrival, comprised a few lights in the trees of the hotel park below us (the 'Grand Hotel Park'), and a few twinkling lights in the distance and from nearby houses on the walls of the valley. It was dark enough to conjure up tantalizing prospects of a view, but I was not prepared for how beautiful this would be when I drew back the curtains the following morning and was drawn onto the 7th floor balcony to gaze out in wonder. 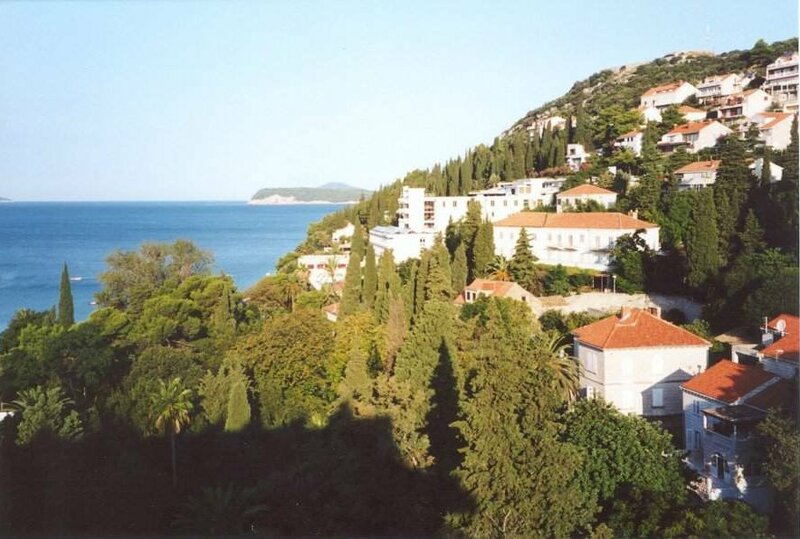 The lush green vegetation of the hotel park stretched from just behind the swimming pool down to the borders of the little beach in the bay known as Sumartin, the sea glistened a beautiful blue, islands loomed in the bay, the sun shone warmly, and all seemed well in the world. Have you noticed how hard it is to keep a sense of direction on a small island? My hotel was located on the Lapad peninsula, and this proved to be equally confusing at first, with the excessively simplified map we were given providing ample opportunity for getting lost - all the more confusing because the bus takes a different route to and from the city, due to one-way systems and a circular route. Taking the bus down to the old city of Dubrovnik, like any good local, I duly noted the excessive amount of standing room; subsequent trips explained the need for this for, believe me, there is no such thing as a 'full bus' in Dubrovnik. As every experienced driver knows, there is always room for one - or a few - more. The fixed price ticket arrangement kept things simple for the driver (10 kuna if you paid cash, or 7 kuna if you pre-purchased a ticket from the hotel or a newsstand), allowing him to concentrate on packing the passengers in more tightly as the journey progressed, and wrestling with his gear-stick when the gearbox or clutch began to groan loudly in protest. The bus station at Pile is right outside the main gate to the old city of Dubrovnik. The old city is contained by a splendid wall that has hindered its enemies since the 7th century, and it is an entertaining exercise - I stress the word exercise - to walk round on top if its walls (for which you pay a small fee). The original rooftops were a yellow colour, but today, many of them are red: an indication of the great extent to which they had to be repaired after the war, during which time it took a real battering, being defended mainly from a lone fort high up on the hills that overshadow it. 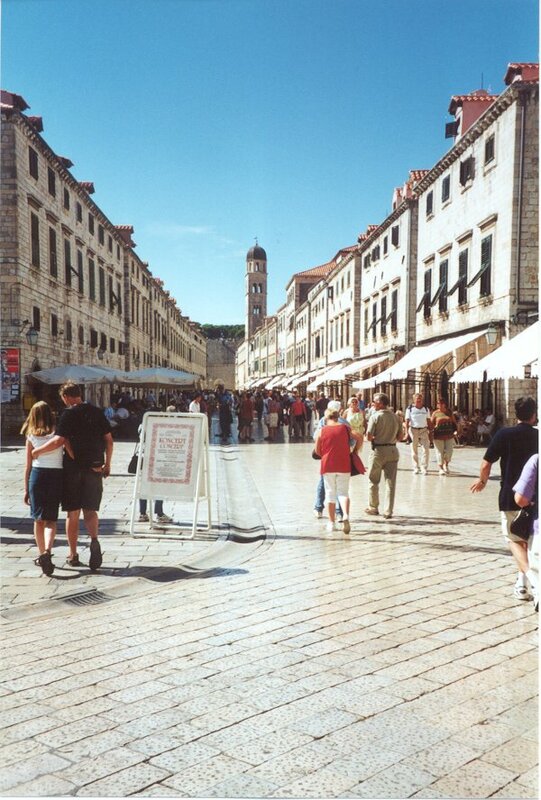 Particular mention should be made of the city's main street, Stradun (shown right), the Prince's Palace, the church of St Vlaho, the Cathedral, three large monasteries, the Custom's Office and the City Hall. Linger at the café tables with a drink in your hand, snap the narrow streets with their exalted washing lines, wonder at the variety of mysteriously named ice cream flavours - which include 'Viagra' if you're feeling blue - and enjoy its small, understated shops. According to the owner of one of the hotel shops who provided a very impassioned chat about the war which, apparently, started quite nearby, there was still a lot of bitterness. Closer inspection of the houses and building around the Lapad region did, indeed, show evidence of shelling - from ruined hotels to small pock-marks on other buildings - and he told us of homeless people living in cars, showed us pictures of Dubrovnik amid the flames and bombing, reminded us of the dangers of becoming too impassioned about materialism or beliefs. He had a very good English accent, but his vocabulary had suffered, he told us, due to the drop in tourism since the war. Before the war there were 60 flights a week from the UK, whereas now there are only 16. (So go there now, before there are 60 again!) He kept using the phrase "I have to tell you", and I found this quite endearing by the end. One compact little couple from my hotel complained bitterly that there weren't any decent shops. I called them Mr & Mrs Gold for want of a real name, for every finger, arm and neck was encircled by multiple bands of gold rings, bracelets and necklaces - and that was just the wife; I later learned they lived in a mobile home, so I guess there perhaps wasn't room to leave it all at home. She arrived on Monday evening and said she was ready to go home by Wednesday because of the sad shopping situation. Personally, I think you should go to New York or London if you only care about shops, so, if this is you, don't come to Dubrovnik, for there is not a single department store, and only small, individual shops. But, I have to tell you, I like it that way! 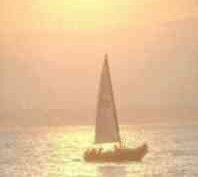 Not everything that glitters is gold; here it is just the sea. One day a trip to three of the islands of the nearby Elaphite group proved to be very entertaining, for it included entertainment from accordion-squeezing and guitar-plucking natives who sought to entertain the motley crew of mainly Russian and partly English tourists who were on board. Kolocep was the first island, beautiful, peaceful; Lopud was the second - larger, with more history; Sipan (pictured) was the last, the only one with cars, but we were only there long enough to see some youngsters making a strange Flintstone-like structure; yes, you guessed, it was to be a flying machine! Of these islands, Lopud was the most interesting, and this was also the island on which we spent the most time - time enough to tramp across its hill and to swim from the beautiful beach on the far side. This island used to be the home of many a rich sea captain, and they began a custom of building small chapels on the island by way of thanks to God for keeping them safe. I believe there are around 22 of them scattered across the island, and there are also the remains of a monastery, the church of which is still in good condition. Another trip took a group of us one Sunday to the most southerly village called Cilipi - for a 'folklore tour'. After a welcome drink, and time to attend the mass if we so wished, the villagers put on a display of traditional dancing and sold their wares; Sunday, hereabouts, is the day of unrest. Being quite near to the border of Montenegro, there is still much evidence here of the war. This village was more or less destroyed, but it is very much a living entity again today, although the ruins of some grand houses still rub shoulders with those that now have happier connections. After a route up to a viewpoint in the mountains, high above the airport, where you look down on the air traffic, we visited the home of the painter Mijo Sisa Konavljanin. (By the way, I here confess to leaving out many accents in these Croatian names; even the 'Special Characters' selection on my computer cannot cope with them.) This gentleman is noted as the only 'primitive' painter in the Dubrovnik region; clearly they had not seen me wielding a brush! He also gave us a welcome driinnk, and some nibbles - including a strange strange brown Carob pod that's used for making a disgusting chocolate I can remember that never goes away, no matter how long you chew it. After that we went on through the lush green valley of Konavle to the well known restaurant of Konavoski Dvori, saw how they cooked their meats under iron bells covered with hot ashes - in terrifically hot surroundings, poor chefs - and then ate alfresco next to the rushing waters of the Ljuta (angry) river - after a little welcome driiinnnk, and some wiiine. The food tasted great, and I expect the rest of the trip was too, but I don't seem to remember much of it, I have to tell you. 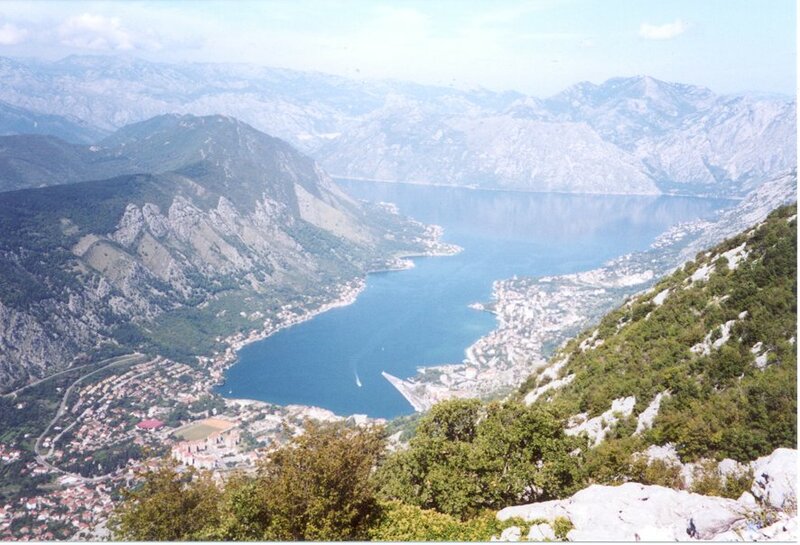 The other trip I went on was to neighbouring Montenegro, passport in sticky hand. Even as we approached the border, signs of war became more obvious. Although this fertile valley was once the thriving heart of farming, not too much activity in this direction appears to take place today. A large ruined farm did contain a few goats in bombed-out sheds, but clearly the farmer must be debating whether it would be cost-effective to give them a roof. Anyway, what would a goat do with a roof? Passage across the border was relatively smooth - although we took on board a quiet Montenegran lady whose sole job it was to handle any problems our coach might encounter in the country. Reassuring, or what? Was she there to watch that we all came out again, or really to negotiate and problems for us? I shall never know. 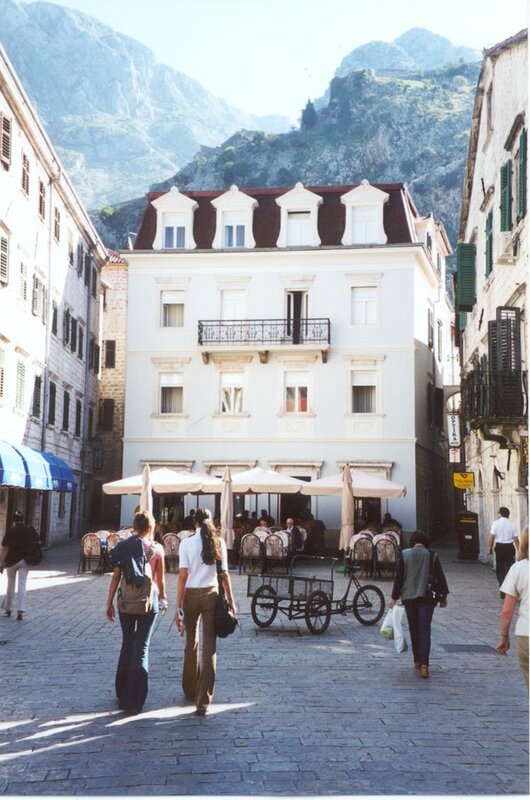 Our first stop was at the dinky-little walled city of Kotor. 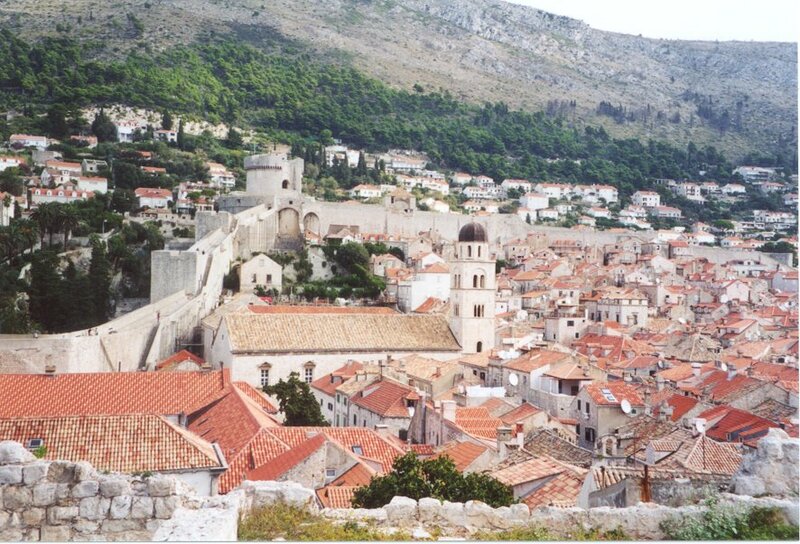 Like a scaled-down version of Dubrovnik, its main source of fascination is the fact that it nestles against a towering mountain of rock, way up above is a part of the walled city, including churches, and yes, as the name 'walled-city' implies - the walls even include this elevated portion of the city. How you get up there was a mystery to me but, with only 40 minutes there, including a 10-minute tour with the guide, there was hardly enough time to get a coffee, let alone an education. Budva proved to be, once again, the location of a walled old-town; all these fortifications say it all, don't they? Budva proved to be, once again, the location of a walled old-town; all these fortifications say it all, don't they? This charming old town is also quite small, but it is very quaint, and it contains some interesting eating places, clothes shops and gift shops. Quite picturesque, but it won't take long to explore. 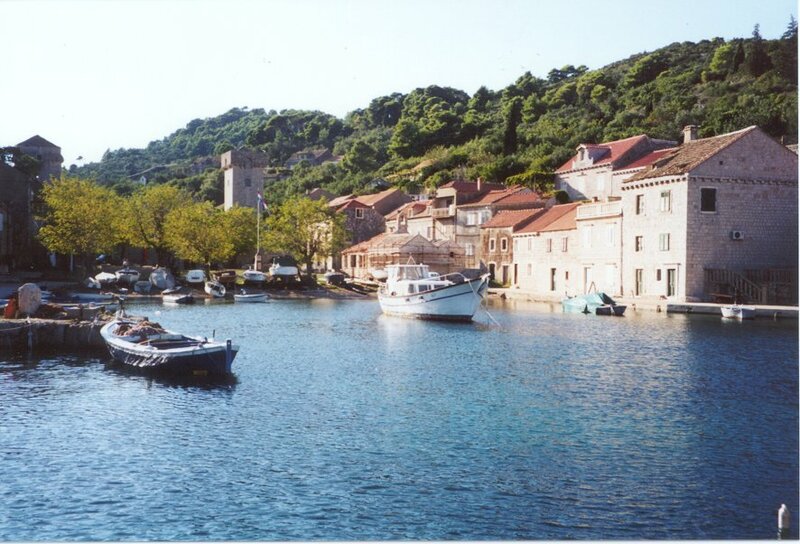 But then there is a nice bay just outside the town walls, and the whole area is very pleasant. After looking at some tapestry work offered by an old crone near to the old town gate, one who could not speak a word of English and who had to keep writing down her prices on a pad, I came away with a definite impression that while she was determined to sell me something, she would just as soon have spat in my eye for visiting her country. Now I don't necessarily expect her to speak English - I, after all, have no intention of learning her tongue - but, as I have reported elsewhere, I do believe that those who seek to make a living from the tourist ought to show them a little respect if they hope to make a living from them. What say you? In Croatia, all schoolchildren now must learn English as a second language. What an excellent plan! I believe that all countries should do the same. Yes, even England should enforce the learning of a second language: American, maybe? 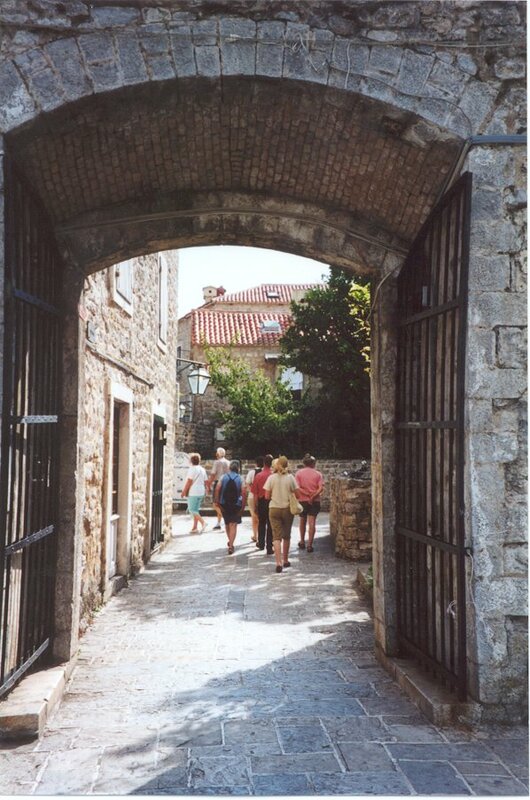 After leaving Budva, we made our way back across the border, past a stockade that contained boats once stolen from the old port in Dubrovnik, and back through no-man's land into Croatia. Towards the end of my week's vacation, the millpond water of the sea was whipped up by strong winds, the hotel park rustled loudly, thunder rumbled continuously in the hills, sheet-lighting kept flashing away to illuminate the entire bay, fork-lightning produced stronger and fatter strikes than I have ever seen before, we got a brief taste of the kind or tropical storm that keeps this land so green and lush, and the dry atmosphere turned rather more humid than had previously been the case. This is the other aspect of the climate around here, but I am told that one, or at most two days in a given week are the most you can expect of this. So expect it, and be warned! Would I go back there? I have to tell you that I would! If you enjoyed reading the above article then you will probably also enjoy Tenerife by Ed, and Salzburg, also in Europe, and our latest articles covering the Orinoco Delta, La Mata, Marbella and Beijing. In this his most challenging journey, Michael Palin tackles the Himalaya, the greatest mountain range on earth, a virtually unbroken wall of rock stretching 1800 miles from the borders of Afghanistan to south-west China. High comedy indeed!